One of the top tips that we can give newcomers to DIY and to those of you who are experienced in all manner of home improvement tasks, if you are trying out a new job for the first time then you need to practice. We were pleased to see the Guardian advocating this idea in their Home and Garden blog last week, as they show even a simple job like applying sealant is better done after a little practice. One of our most popular Project Pages is How to Skim Plaster. When Mike Edwards of DIY Doctor gets up on stage to do his plastering demos at trades shows around the country, he packs in the crowds, and it isn’t just his aftershave. He always recommends to people to buy a bag of plaster, get a piece of board, and just practice. That way if you mess up no one needs to know. You look so much better if you can saunter in to the living room and whip out your trowel with a flourish (as it were). You can be confident in tackling a job in your home if you have taken the time to practice. For instance simple plumbing jobs are not beyond the skill of most people, but you might want to have a go with some pipe that isn’t connected to anything before you start messing about with the mains. 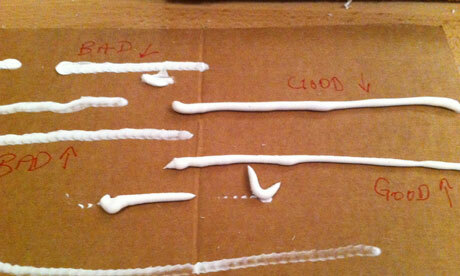 You can see the videos on How to Skim Plaster as well as many more useful DIY tasks on our You Tube Channel.